At first I would marvel when they’d say it. Is it that noticeable? I’d wonder. Now, it’s not like I was some sort of neat freak, because I wasn’t. But even when things were cluttered, I’d still knew where everything was. I was proud of this fact. I started saying, ” ‘Cause you know, I don’t lose anything,” whenever I’d find an item I thought I’d lost. Before long, the Holy Spirit showed me that the things that I boasted of never losing were never lost to begin with. They were only misplaced. If I came into the house with the keys, they had to still be in the house. Over time, the Lord had to take me through seasons of losing ; time periods that were so convoluted that I wondered if the mental anguish would deplete me. At the time, I couldn’t see the need for such experiences. I came to realize, it was more about what He needed. God needs a people in this day and time who understand what it means to truly lose. With natural disasters and heinous crimes coming at rapid speed, He needs those who will reach out, with compassion, helping mankind to recover from loss. I’d like to share with you some of the lessons He taught me about losing. What man of you, having a hundred sheep, if he lose one of them, doth not leave the ninety and nine in the wilderness, and go after that which is lost, until he find it? And when he cometh home, he calleth together his friends and neighbors, saying, Rejoice with me; for I have found my sheep which was lost. 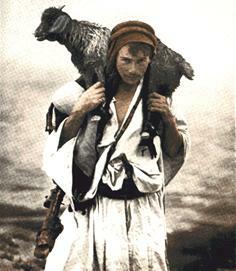 During biblical times, shepherds had personal relationships with their sheep. They knew their temperament and would assign them certain names. For example, if one had a speckled ear, he might be named after that feature. He could have replaced the sheep when one went astray but he didn’t due to how attached he’d become to him. Because he cared for the animal every day, he felt the loss. He valued him. The bible doesn’t tell us the method a shepherd would use to recover lost sheep so I’ll use my imagination (smile). Perhaps in his recovery efforts, the shepherd may have spent some time thinking about where he would go if he was one of them. Watching him graze and frolic everyday, he would know that that particular sheep liked to play close to the edge of an embankment near the swamp. I can envision him, braving the elements or an inky darkness, running the risk of being attacked by some wild animal, all in an attempt to reclaim his possession. Once he got close to where he thought he’d be, he would call out to him, “SPECKLED EAR! SPECKLED EAR!” knowing that if he were anywhere in the vicinity, he would respond to his name. Speckled Ear would recognize the shepherd’s voice; knowing this was someone whose bosom he had laid in as he had his fleece combed and his wounds mended. Just imagine how frightened he must’ve have been; alone in the slough that would soon engulf him. He could probably hear the growl of the wolves, waiting at the top of the embankment for him to rise so they could devour him. Think of how confident, Speckled Ear felt, hearing the voice of his loved one, remembering that his shepherd had rescued him from danger before. Tuning his ear, the shepherd could hear him faintly respond “BAAAH, BAAAH.” He could tell by his cry, Speckled Ear was in trouble. Lifting his torch high in the air, he spotted Speckled Ear, struggling in the swamp. He pulled out his rod, beating away the ferocious beast as he prepared to deliver his precious one. Without hesitation, he would use his staff to somehow pull Speckled Ear from the slimy quagmire. Once he had his little one in his grasp, he’d place him in the safest place: high upon his shoulders. It didn’t matter to the shepherd that he was also covered in the slime from the mucid pit, all that mattered was that he had found his prized possession that was lost. Wouldn’t it be wonderful if more spiritual shepherds today, had that same passion? Sheep (people) can be missing for weeks at a time, before anyone even notices. In our day, you rarely see leaders go after the one, not even with a phone call. I am reminded of a story my former hairdresser told me about her brother. Her brother is a pastor who came to the United States from Sierra Leone. His denomination assigned him a congregation in the Baltimore area. Once here , he discovered that the church had, at one time, a couple hundred members but the congregation had now dwindled down to a tenth of that. I’m not sure how far back he went or how long it took, but he comprised a list of the membership and visited each home, compelling them to come back. This was highly effective! Not only did most come back, they brought others with them. The church had to start additional ministries to accommodate the growing congregation. That’s the heart of a true shepherd! Let’s review the parable again. V. 4 says the shepherd went after the sheep until he found him. He didn’t give up. Sometimes you won’t be able to recover all that have gone astray. The bible says a brother offended is hard to be won, still God will bless your efforts and will give you the fruit of your labor. His stubborn love working through us will compel them to return to the Shepherd and Bishop of their souls. V5 says he layeth the sheep upon his shoulders, rejoicing. Shoulders represent responsibility. The shepherd took personal responsibility for why the sheep went astray. He didn’t punish or scold them or keep them locked up for fear that they would leave again, instead he rejoiced. The Greek word for rejoice is Chairo; it means a joy that is the direct result of God’s grace. The joy that was in him as a result of finding the sheep caused him to be gracious towards the precious one. I believe he cleaned him up and gave him fresh food and water. He probably poured oil on his head to soften his fleece and to destroy the bugs that pestered him. I have heard pastors talk about how hurt they were when someone or a family left their church. They would sometimes allow that hurt to become an offense, causing them to act differently towards the sheep. God forbid! I believe the majority of those who leave or stray going back into the world could be recovered if they knew how much they are loved and valued. Leaders, if you are gracious towards God’s precious ones, He will be gracious towards you! The favor and influence you desire to see over your life and ministry will begin to over take you, if you focus on recovering souls and not substance. What are some of the things, you think the local church could do to recover the lost? What methods have you personally used to restore broken relationships? ← Resurrection to Renaissance: Whatever happened to? This Well Report segment really hit home for me personally. I did tske some time to answer your questions in short…as I did ponder on what the Holy Spirit had you to post for the The Well Report…What are some of the things, you think t…he local church could do to recover the lost? If the pastor or someone in the church is the cause for them leaving, then they should first acknowledge their wrong-doing and repent. Too many times, Pastors seem to think that they do no wrong and fail to realize that just because they are pastors, doesn’t mean that they don’t need to be delivered from their insecurities or whatever the cause was. After repentence, the pastor or member should seek the Holy Spirit and ask Him to heal that person’s heart and then they should go to the person and admit their wrong and ask for forgiveness…to show forth the love of Christ with humility. What methods have you personally used to restore broken relationships? I was once this person and was wounded by a local church, but all is forgiven and I have moved on thanks to the precious Holy Spirit. Christ showered me with His love and helped me to forgive…So what I do is listen to the person and minister to them about the love of Christ and let the Holy Spirit lead me from there. It’s too much to type on your post.. lol… It would be about 5 pages if I did…lol..Looking forward to the next one….My eyes well up with tears even as I type this because there are sooo many that are lost and have been wounded..
Apostle, this was an awesome blog, I truly enjoyed reading this. This was such a rich Word from the Lord. It made me re-think my responsibility as a shepherd working in the green pastures. It’s not an easy task, but God gives us the wisdom and insight to carry out the instructions. Keep writing, many people are being blessed. Love you much. Thanks so much, Apostle Tracy for your comments. I know shepherding is hard work and I am very grateful that there are still true shepherds who are impacting lives, such as yourself.